These are lyrics by Lemar that we think are kind of nonsensical. 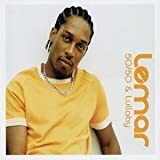 Lemar's, "If There's Any Justice"
Bits of paper, wrappers, etc., can blow in the wind. But the truth can't, because it's not even a tangible object!